Traditionally FX has not been the most popular market to trade because access to the foreign exchange market was primarily restricted to hedge funds, Commodity Trading Advisors who manage large amounts of capital, major corporations, and institutional investors due to regulation, capital requirements, and technology. One of the primary reasons why the foreign exchange market has traditionally been the market of choice for these large players is because the risk that a trader takes is fully customizable. That is, one trader could use a hundred times leverage while another may choose to not be leveraged at all. However, in recent years many firms have opened up the foreign exchange market to retail traders, providing leveraged trading as well as free instantaneous execution platforms, charts, and real-time news. As a result, foreign exchange trading has surged in popularity, increasing its attractiveness as an alternative asset class to trade. Many equity and futures traders have begun to add currencies into the mix of products that they trade or have even switched to trading currencies exclusively. The reason why this trend is emerging is because these traders are beginning to realize that there are many attractive attributes to trading FX over equities or futures. 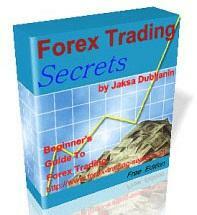 • Foreign exchange is the largest market in the world and has growing liquidity. • There is 24-hour around-the-clock trading. • Traders can profit in both bull and bear markets. • Short selling is permitted without an uptick, and there are no trading curbs. • Instant executable trading platform minimizes slippage and errors. • Even though higher leverage increases risk, many traders see trading the FX market as getting more bang for the buck. • There is decent market liquidity, but it depends mainly on the stock's daily volume. • The market is available for trading only from 9:30 a.m. to 4:00 p.m. New York time with limited after-hours trading. • The existence of exchange fees results in higher costs and commissions. • There is an uptick rule to short stocks, which many day traders find frustrating. • The number of steps involved in completing a trade increases slippage and error. The volume and liquidity present in the FX market, one of the most liquid markets in the world, have allowed traders to access a 24-hour market with low transaction costs, high leverage, the ability to profit in both bull and bear markets, minimized error rates, limited slippage, and no trading curbs or uptick rules. Traders can implement in the FX market the same strategies that they use in analyzing the equity markets. For fundamental traders, countries can be analyzed like stocks. For technical traders, the FX market is perfect for technical analysis, since it is already the most commonly used analysis tool by professional traders. It is therefore important to take a closer look at the individual attributes of the FX market to really understand why this is such an attractive market to trade. Around-the-Clock 24-Hour Market One of the primary reasons why the FX market is popular is because for active traders it is the ideal market to trade. Its 24hour nature offers traders instant access to the markets at all hours of the day for immediate response to global developments. This characteristic also gives traders the added flexibility of determining their trading day. Active day traders no longer have to wait for the equities market to open at 9:30 a.m. New York time to begin trading. If there is a significant announcement or development either domestically or overseas between 4:00 p.m. New York time and 9:30 a.m. New York time, most day traders will have to wait for the exchanges to open at 9:30 a.m. to place trades. By that time, in all likelihood, unless you have access to electronic communication networks (ECNs) such as Instinet for premarket trading, the market would have gapped up or gapped down against you. All of the professionals would have already priced in the event before the average trader can even access the market. In addition, most people who want to trade also have a full-time job during the day. The ability to trade after hours makes the FX market a much more convenient market for all traders. Different times of the day will offer different trading opportunities as the global financial centers around the world are all actively involved in foreign exchange. With the FX market, trading after hours with a large online FX broker provides the same liquidity and spread as at any other time of day. As a guideline, at 5:00 p.m. Sunday, New York time, trading begins as the markets open in Sydney, Australia. Then the Tokyo markets open at 7:00 p.m. New York time. Next, Singapore and Hong Kong open at 9:00 p.m. EST, followed by the European markets in Frankfurt (2:00 a.m.) and then London (3:00 a.m.). By 4:00 a.m. the European markets are in full swing, and Asia has concluded its trading day. The U.S. markets open first in New York around 8:00 a.m. Monday as Europe winds down. By 5:00 p.m., Sydney is set to reopen once again. The most active trading hours are when the markets overlap; for example, Asia and Europe trading overlaps between 2:00 a.m. and approximately 4:00 a.m., Europe and the United States overlap between 8:00 a.m. and approximately 11:00 a.m., while the United States and Asia overlap between 5:00 p.m. and 9:00 p.m.. During New York and London hours all of the currency pairs trade actively, whereas during the Asian hours the trading activity for pairs such as the GBP/JPY and AUD/JPY tend to peak. Lower Transaction Costs The existence of much lower transaction costs also makes the FX market particularly attractive. In the equities market, traders must pay a spread (i.e., the difference between the buy and sell price) and/or a commission. With online equity brokers, commissions can run upwards of $20 per trade. With positions of $100,000, average round-trip commissions could be as high as $120. The over-the-counter structure of the FX market eliminates exchange and clearing fees, which in turn lowers transaction costs. Costs are further reduced by the efficiencies created by a purely electronic marketplace that allows clients to deal directly with the market maker, eliminating both ticket costs and middlemen. Because the currency market offers around-the-clock liquidity, traders receive tight competitive spreads both intraday and at night. Equities traders are more vulnerable to liquidity risk and typically receive wider dealing spreads, especially during after-hours trading. Low transaction costs make online FX trading the best market to trade for short-term traders. For an active equity trader who typically places 30 trades a day, at a $20 commission per trade you would have to pay up to $600 in daily transaction costs. This is a significant amount of money that would definitely take a large cut out of profits or deepen losses. The reason why costs are so high is because there are several people involved in an equity transaction. More specifically, for each trade there is a broker, the exchange, and the specialist. All of these parties need to be paid, and their payment comes in the form of commission and clearing fees. In the FX market, because it is decentralized with no exchange or clearinghouse (everything is taken care of by the market maker), these fees are not applicable. Customizable Leverage Even though many people realize that higher leverage comes with risks, traders are humans and few of them find it easy to turn away the opportunity to trade on someone else's money. The FX market caters perfectly to these traders by offering the highest leverage available for any market. Most online currency firms offer 100 times leverage on regular-sized accounts and up to 200 times leverage on the miniature accounts. Compare that to the 2 times leverage offered to the average equity investor and the 10 times capital that is typically offered to the professional trader, and you can see why many traders have turned to the foreign exchange market. The margin deposit for leverage in the FX market is not seen as a down payment on a purchase of equity, as many perceive margins to be in the stock markets. Rather, the margin is a performance bond, or good faith deposit, to ensure against trading losses. This is very useful to short-term day traders who need the enhancement in capital to generate quick returns. Leverage is actually customizable, which means that the more risk-averse investor who feels comfortable using only 10 or 20 times leverage or no leverage at all can elect to do so. However, leverage is really a double-edged sword. Without proper risk management a high degree of leverage can lead to large losses as well. Profit in Both Bull and Bear Markets In the FX market, profit potentials exist in both bull and bear markets. Since currency trading always involves buying one currency and selling another, there is no structural bias to the market. Therefore, if you are long one currency, you are also short another. As a result, profit potentials exist equally in both upward-trending and downward-trending markets. This is different from the equities market, where most traders go long instead of short stocks, so the general equity investment community tends to suffer in a bear market. No Trading Curbs or Uptick Rule The FX market is the largest market in the world, forcing market makers to offer very competitive prices. Unlike the equities market, there is never a time in the FX markets when trading curbs would take effect and trading would be halted, only to gap when reopened. This eliminates missed profits due to archaic exchange regulations. In the FX market, traders would be able to place trades 24 hours a day with virtually no disruptions. One of the biggest annoyances for day traders in the equity market is the fact that traders are prohibited from shorting a stock in a downtrend unless there is an uptick. This can be very frustrating as traders wait to join short sellers but are only left with continually watching the stock trend down before an uptick occurs. In the FX market, there is no such rule. If you want to short a currency pair, you can do so immediately; this allows for instant and efficient execution. Online Trading Reduces Error Rates In general, a shorter trade process minimizes errors. Online currency trading is typically a three-step process. A trader would place an order on the platform, the FX dealing desk would automatically execute it electronically, and the order confirmation would be posted or logged on the trader's trading station. Typically, these three steps would be completed in a matter of seconds. For an equities trade, on the other hand, there is generally a five-step process. The client would call his or her broker to place an order, the broker sends the order to the exchange floor, the specialist on the floor tries to match up orders (the broker competes with other brokers to get the best fill for the client), the specialist executes the trade, and the client receives a confirmation from the broker. As a result, in currency trades the elimination of a middleman minimizes the error rates and increases the efficiency of each transaction. Limited Slippage Unlike the equity markets, many online FX market makers provide instantaneous execution from real-time, two-way quotes. These quotes are the prices at which the firms are willing to buy or sell the quoted currency, rather than vague indications of where the market is trading, which aren't honored. Orders are executed and confirmed within seconds. Robust systems would never request the size of a trader's potential order, or which side of the market he's trading, before giving a bid/offer quote. Inefficient dealers determine whether the investor is a buyer or a seller, and shade the price to increase their own profit on the transaction. The equity market typically operates under a "next best order" system, under which you may not get executed at the price you wish, but rather at the next best price available. For example, let's say Microsoft is trading at $52.50. If you enter a buy order at this price, by the time it reaches the specialist on the exchange floor the price may have risen to $53.25. In this case, you will not get executed at $52.50; you will get executed at $53.25, which is essentially a loss of three-quarters of a point. The price transparency provided by some of the better market makers ensures that traders always receive a fair price. Perfect Market for Technical Analysis For technical analysts, currencies rarely spend much time in tight trading ranges and have the tendency to develop strong trends. Over 80 percent of volume is speculative in nature, and as a result the market frequently overshoots and then corrects itself. Technical analysis works well for the FX market and a technically trained trader can easily identify new trends and breakouts, which provide multiple opportunities to enter and exit positions. Charts and indicators are used by all professional FX traders, and candlestick charts are available in most charting packages. In addition, the most commonly used indicators—such as Fibonacci retracements, stochastics, moving average convergence/divergence (MACD), moving averages, (RSI), and support/resistance levels—have proven valid in many instances. 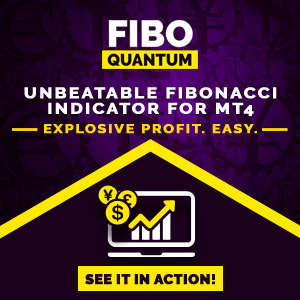 In the GBP/USD chart in Figure 1.1, it is clear that Fibonacci retracements, moving averages, and stochastics have at one point or another given successful trading signals. For example, the 50 percent retracement level has served as support for the GBP/USD throughout the month of January and for a part of February 2005. 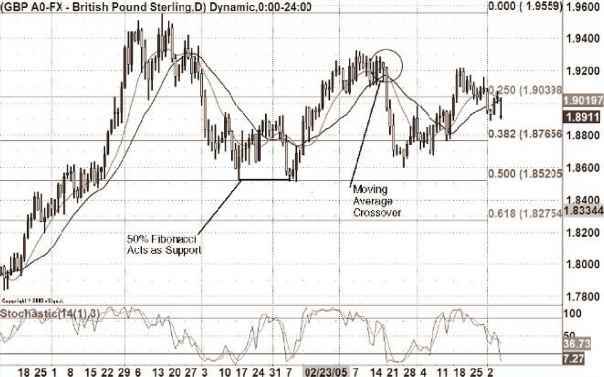 The moving average crossovers of the 10-day and 20-day simple moving averages also successfully forecasted the sell-off in the GBP/USD on March 21, 2005. Equity traders who focus on technical analysis have the easiest transition since they can implement in the FX market the same technical strategies that they use in the equities market. Trading currencies is not difficult for fundamental traders, either. Countries can be analyzed just like stocks. For example, if you analyze growth rates of stocks, you can use gross domestic product (GDP) to analyze the growth rates of countries. If you analyze inventory and production ratios, you can follow industrial production or durable goods data. If you follow sales figures, you can analyze retail sales data. As with a stock investment, it is better to invest in the currency of a country that is growing faster and is in a better economic condition than other countries. Currency prices reflect the balance of supply and demand for currencies. Two of the primary factors affecting supply and demand of currencies are interest rates and the overall strength of the economy. Economic indicators such as GDP, foreign investment, and the trade balance reflect the general health of an economy and are therefore responsible for the underlying shifts in supply and demand for that currency. There is a tremendous amount of data released at regular intervals, some of which is more important than others. Data related to interest rates and international trade is looked at the most closely. If the market has uncertainty regarding interest rates, then any bit of news relating to interest rates can directly affect the currency market. Traditionally, if a country raises its interest rate, the currency of that country will strengthen in relation to other countries as investors shift assets to that country to gain a higher return. Hikes in interest rates are generally bad news for stock markets, however. Some investors will transfer money out of a country's stock market when interest rates are hiked, causing the country's currency to weaken. Determining which effect dominates can be tricky, but generally there is a consensus beforehand as to what the interest rate move will do. Indicators that have the biggest impact on interest rates are the producer price index (PPI), consumer price index (CPI), and GDP. Generally the timing of interest rate moves is known in advance. They take place after regularly scheduled meetings by the Bank of England (BOE), the U.S. Federal Reserve (Fed), the European Central Bank (ECB), the Bank of Japan (BOJ), and other central banks. The trade balance shows the net difference over a period of time between a nation's exports and imports. When a country imports more than it exports the trade balance will show a deficit, which is generally considered unfavorable. For example, if U.S. dollars are sold for other domestic national currencies (to pay for imports), the flow of dollars outside the country will depreciate the value of the dollar. Similarly, if trade figures show an increase in exports, dollars will flow into the United States and appreciate the value of the dollar. From the standpoint of a national economy, a deficit in and of itself is not necessarily a bad thing. If the deficit is greater than market expectations, however, then it will trigger a negative price movement. The FX market holds advantages over not only the equity market, but also the futures market. 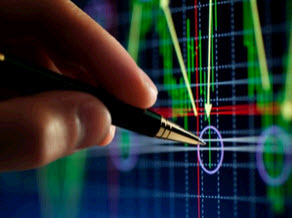 Many futures traders have added currency spot trading to their portfolios. After recapping the key spot foreign exchange attributes, we compare the futures attributes. • It is the largest market in the world and has growing liquidity. • Market liquidity is limited, depending on the month of the contract traded. • The presence of exchange fees results in more costs and commissions. • dependent on the product traded; each product may have different opening and closing hours, and there is limited after-hours trading. • Futures leverage is higher than leverage for equities, but still only a fraction of the leverage offered in FX. • There tend to be prolonged bear markets. • Pit trading structure increases error and slippage. Like they can in the equities market, traders can implement in the FX market the same strategies that they use in analyzing the futures markets. Most futures traders are technical traders, and as mentioned in the equities section, the FX market is perfect for technical analysis. 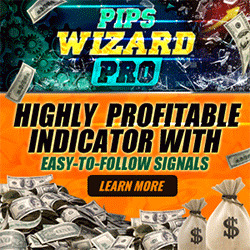 In fact, it is the most commonly used analysis tool by professional traders. Let's take a closer look at how the futures market stacks up against the FX market. Comparing Market Hours and Liquidity The volume traded in the FX market is estimated to be more than five times that of the futures market. The FX market is open for trading 24 hours a day, but the futures market has confusing market hours that vary based on the product traded. For example, trading gold futures is open only between 7:20 a.m. and 1:30 p.m. on the New York Commodities Exchange (COMEX), whereas if you trade crude oil futures on the New York Mercantile Exchange, trading is open only between 8:30 a.m. and 2:10 p.m. These varying hours not only create confusion, but also make it difficult to act on breakthrough announcements throughout the remainder of the day. In addition, if you have a full-time job during the day and can trade only after hours, futures would be a very inconvenient market product for you to trade. You would basically be placing orders based on past prices and not current market prices. This lack of transparency makes trading very cumbersome. With the FX market, if you choose to trade after hours through the right market makers, you can be assured that you would receive the same liquidity and spread as at any other time of day. In addition, each time zone has its own unique news and developments that could move specific currency pairs. Low to Zero Transaction Costs In the futures market, traders must pay a spread and/or a commission. With futures brokers, average commissions can run close to $160 per trade on positions of $100,000 or greater. The over-the-counter structure of the FX market eliminates exchange and clearing fees, which in turn lowers transaction costs. Costs are further reduced by the efficiencies created by a purely electronic marketplace that allows clients to deal directly with the market maker, eliminating both ticket costs and middlemen. Because the currency market offers around-the-clock liquidity, traders receive tight, competitive spreads both intraday and at night. Futures traders are more vulnerable to liquidity risk and typically receive wider dealing spreads, especially during after-hours trading. Low to zero transaction costs make online FX trading the best market to trade for short-term traders. If you are an active futures trader who typically places 20 trades a day, at $100 commission per trade, you would have to pay $2,000 in daily transaction costs. A typical futures trade involves a broker, a Futures Commission Merchant (FCM) order desk, a clerk on the exchange floor, a runner, and a pit trader. All of these parties need to be paid, and their payment comes in the form of commission and clearing fees, whereas the electronic nature of the FX market minimizes these costs. No Limit Up or Down Rules/Profit in Both Bull and Bear Markets There is no limit down or limit up rule in the FX market, unlike the tight restriction on the futures market. For example, on the S&P 500 index futures, if the contract value falls more than 5 percent from the previous day's close, limit down rules will come in effect whereby on a 5 percent move the index is allowed to trade only at or above this level for the next 10 minutes. For a 20 percent decline, trading would be completely halted. Due to the decentralized nature of the FX market, there are no exchange-enforced restrictions on daily activity. In effect, this eliminates missed profits due to archaic exchange regulations. 1. The client calls his or her broker and places a trade (or places it online). 2. The trading desk receives the order, processes it, and routes it to the FCM order desk on the exchange floor. 6. The trade confirmation goes to the runner or is signaled to the order clerk and processed by the FCM order desk. 7. The broker receives the trade confirmation and passes it on to the client. An FX trade, in comparison, is typically only a three-step process. A trader would place an order on the platform, the FX dealing desk would automatically execute it electronically, and the order confirmation would be posted or logged on the trader's trading station. The elimination of the additional parties involved in a futures trade increases the speed of the FX trade execution and decreases errors. In addition, the futures market typically operates under a "next best order" system, under which traders frequently do not get executed at the initial market order price, but rather at the next best price available. For example, let's say a client is long five March Dow Jones futures contracts at 8800 with a stop order at 8700; if the price falls to this level, the order will most likely be executed at 8690. This 10-point difference would be attributed to slippage, which is very common in the futures market. On most FX trading stations, traders execute directly off of real-time streaming prices. Barring any unforeseen circumstances, there is generally no discrepancy between the displayed price and the execution price. This holds true even during volatile times and fast-moving markets. In the futures market, in contrast, execution is uncertain because all orders must be done on the exchange, creating a situation where liquidity is limited by the number of participants, which in turn limits quantities that can be traded at a given price. Real-time streaming prices ensure that FX market orders, stops, and limits are executed with minimal slippage and no partial fills. Since the foreign exchange market is an over-the-counter (OTC) market without a centralized exchange, competition between market makers prohibits monopolistic pricing strategies. If one market maker attempts to drastically skew the price, then traders simply have the option to find another market maker. Moreover, spreads are closely watched to ensure market makers are not whimsically altering the cost of the trade. Many equity markets, in contrast, operate in a completely different fashion; the New York Stock Exchange (NYSE), for instance, is the sole place where companies listed on the NYSE can have their stocks traded. Centralized markets are operated by what are referred to as specialists, while market makers is the term used in reference to decentralized marketplaces. (See Figures 1.2 and 1.3.) Since the NYSE is a centralized market, a stock traded on the NYSE can have only 1 bid/ask quote at all times. Decentralized markets, such as foreign exchange, can have multiple market makers—all of whom have the right to quote different prices. Let's look at how both centralized and decentralized markets operate. By their very nature, centralized markets tend to be monopolistic: with a single specialist controlling the market, prices can easily be skewed to accommodate the interests of the specialist, not those of the traders. If, for example, the market is filled with sellers from whom the specialists must buy but no prospective buyers on the other side, the specialists will be forced to buy from the sellers and be unable to sell a commodity that is being sold off and hence falling in value. In such a situation, the specialist may simply widen the spread, thereby increasing the cost of the trade and preventing additional participants from entering the market. Or specialists can simply drastically alter the quotes they are offering, thus manipulating the price to accommodate their own needs. 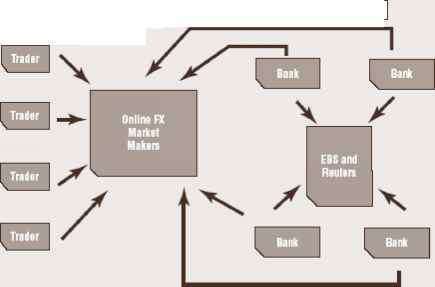 While the foreign exchange market is decentralized and hence employs multiple market makers rather than a single specialist, participants in the FX market are organized into a hierarchy; those with superior credit access, volume transacted, and sophistication receive priority in the market. At the top of the food chain is the interbank market, which trades the highest volume per day in relatively few (mostly G-7) currencies. In the interbank market, the largest banks can deal with each other directly, via interbank brokers or through electronic brokering systems like Electronic Brokering Services (EBS) or Reuters. The interbank market is a credit-approved system where banks trade based solely on the credit relationships they have established with one another. All the banks can see the rates everyone is dealing at; however, each bank must have a specific credit relationship with another bank in order to trade at the rates being offered. Other institutions such as online FX market makers, hedge funds, and corporations must trade FX through commercial banks. Many banks (small community banks, banks in emerging markets), corporations, and institutional investors do not have access to these rates because they have no established credit lines with big banks. This forces small participants to deal through just one bank for their foreign exchange needs, and often this means much less competitive rates for the participants further down the participant hierarchy. Those receiving the least competitive rates are customers of banks and exchange agencies. Recently technology has broken down the barriers that used to stand between the end users of foreign exchange services and the interbank market. The online trading revolution opened its doors to retail clientele by connecting market makers and market participants in an efficient, low-cost manner. In essence, the online trading platform serves as a gateway to the liquid FX market. Average traders can now trade alongside the biggest banks in the world, with similar pricing and execution. What used to be a game dominated and controlled by the big boys is slowly becoming a level playing field where individuals can profit and take advantage of the same opportunities as big banks. FX is no longer an old boys club, which means opportunity abounds for aspiring online currency traders. Cross-currency pairs are generally not traded over either platform, but instead are calculated based on the rates of the major currency pairs and then offset using the "legs." For example, if an interbank trader had a client who wanted to go long AUD/JPY, the trader would most likely buy AUD/USD over the Reuters D3000 system and buy USD/JPY over EBS. The trader would then multiply these rates and provide the client with the respective AUD/JPY rate. These currency pairs are also known as synthetic currencies, and this helps to explain why spreads for cross currencies are generally wider than spreads for the major currency pairs.